$25 for Maine Pines Members /$35 for Non-members Sign-up at Front Desk! 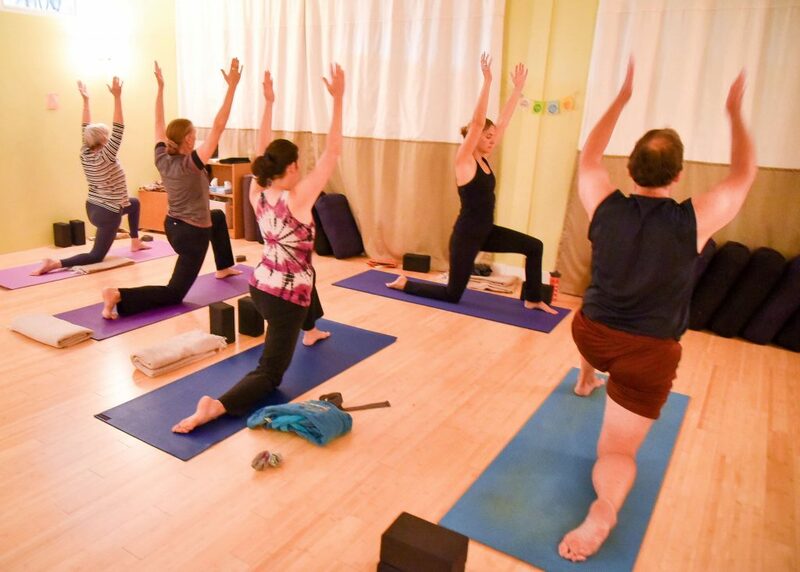 Treat yourself to an hour of slow flow yoga (appropriate for all-levels) followed by an hour of blissful Restorative yoga. Create warmth and awaken the body’s natural intelligence by utilizing breath-work and moving through a sequence of poses designed to create space and mobility throughout the body. The second half of the workshop will be dedicated to grounding the mind, body, and spirit in a series of therapeutic Restorative poses. Using props to support the body, we will release layers of held tension and unleash the body’s capacity to heal itself from stress. We will have an extra instructor on-hand to provide plenty of gentle hands-on support, and therapeutic touch. Please be sure to register ahead of time as this workshop fills quickly and we have limited props. Cost is $25 for members and $35 for non-members. You can direct message us to sign-up or call 729-8433. • Increased strength and flexibility. All practitioners are welcome. This class is appropriate for students recovering from spinal injuries with clearance from a doctor. If you’re actively in the care of a doctor or physical therapist, please come to class knowing any specific contraindications or movements that you should avoid. Just in time to combat holiday stress….Join Leslie for a 2 hr restorative practice to invite in deep relaxation. Allow your body and mind to experience deeper levels of letting go while in supported poses using bolsters, blankets and blocks. After a gentle warm-up, poses will be held between 5-15 minutes, giving time and space for layers of tension in mind and body to release. Be prepared to reduce your blood pressure, undo tension and step away from your Holiday To Do List!